Alfalfa is commonly cultivated around the world for use as an animal feed stock. In fact it is thought that Alfalfa is the one of the oldest known plant used for animal/livestock/horse feed, with records of its use in the ancient Middle East as early as 1,000 BC. The ancient Arabs not only ate this amazing plant themselves, but also fed it to their horses, claiming that it made their horses faster and stronger. They became so convinced of its health benefits that they named it "Alfalfa" ''the real name for alfalfa'', which in Arabic means "Father of All Foods”. It is also known as "The Father of Herbs", such is its standing with natural health practitioners. This herbal medicine is known to be effective in treating high blood cell production – this is done by ingesting the seeds, sprouts and plant of alfalfa.Alfalfa leaves and stems are also a rich source of proteins, vitamins and minerals, L-lysine (omega-3 fatty acids) and aid in combating deficiency of the same. Alfalfa is a slim, bushy perennial plant native to western Asia and the Eastern Mediterranean region. It is a part of the legume family belonging to the pea family Papilioaceae and the genus / species medicago sativa. An important alfalfa fact would be its power packed nutritional constituents. This would include minerals and vitamins, choline, organic acids, free amino acids, non-protein amino acids (example canavinine), strachydrine, coumarins, isoflavonoids, saponins and steroids such as b-sitosterol, campesterol, stigamsterol, etc. Alfalfa also contains vitamins A, B, C, D, E and K, chlorophyll and carotene, as well as minerals such as potassium, calcium, and magnesium. Commercially, alfalfa is available as dried leaf, health drinks and tea; and alfalfa supplements such as tablets, capsules and extracts; as well as in other forms. Another interesting alfalfa fact to note is that modern day use of the plant is not just restricted to medicine and forage – it is also used in organic gardening. 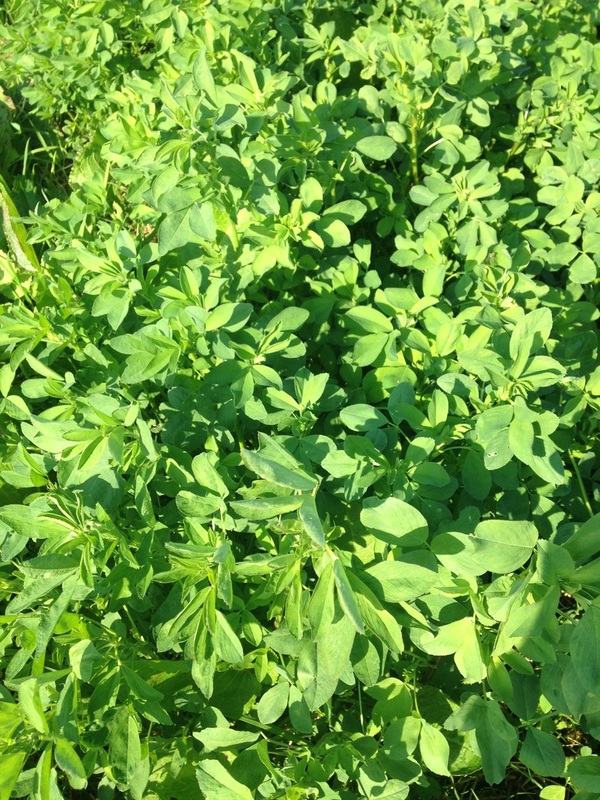 Alfalfa is typically used as a fertilizer since it adds value to the soil due to its nitrogen fixing attributes.